The USB-communication hub in the USB-weather station collects weather data from the connected sensors and shows over 4 symbols the reception status of the sensors. The data of the USB-weather station can be analysed, stored and evaluated via the included PC software. The integrated rechargeable battery will be charged automatically and is important for security in the case of a power cut. Attention: the PC must be switched on at all times. Ensure that the standby mode of your PC is deactivated since this could disturb the function of the device. Should you require any assistance in finding the product you are looking for, do not hesitate to contact us on: UK customers +44(0) 23 809 870 30 / US customers +1-410-387-7703. 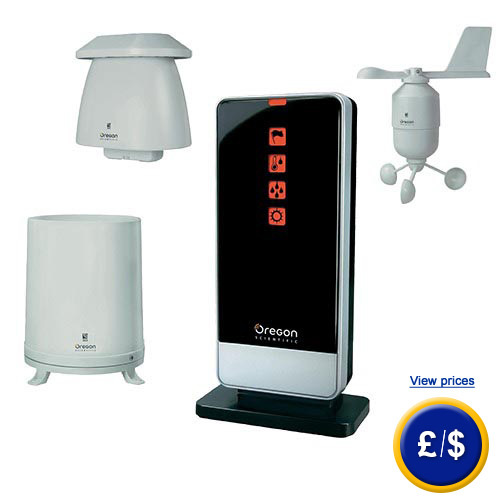 An overview of all weather stations can be found here: weather stations Our technicians and engineers will gladly give you advice on this wireless weather station and any other products in the field of measuring instruments, regulation and control and scales.